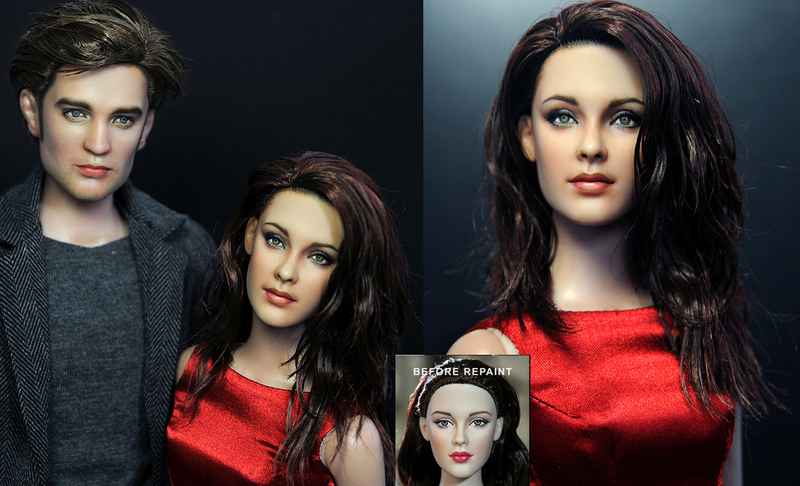 Character doll repaint. Repaints of factory froduced character búp bê. HD Wallpaper and background images in the Harry Potter vs Chạng vạng club tagged: twilight harry potter movie doll bella swan edward cullen voldemort paint art. This Harry Potter vs Chạng vạng photo contains chân dung, headshot, and closeup. There might also be áo cánh, blouse, quần áo thể thao, overclothes, áo khoác ngoài, đồ lót, and áo khoác overclothes.